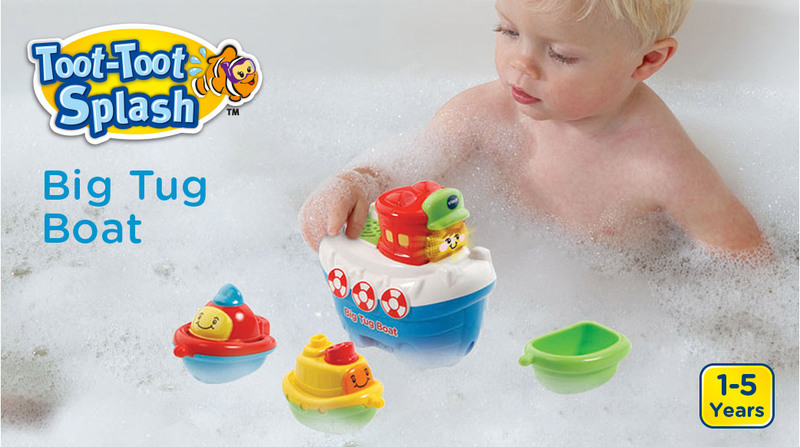 Float around the bath or push on its wheels when playing on dry land! 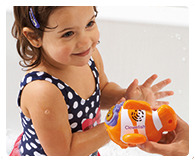 Includes lots of songs, melodies and fun phrases. 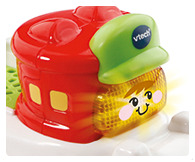 Chug into the learning zone with the Toot-Toot Splash Tugboat by VTech. 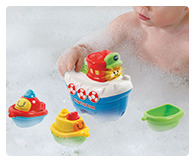 Float the tug around in the bath or push it around on its wheels when playing on dry land! 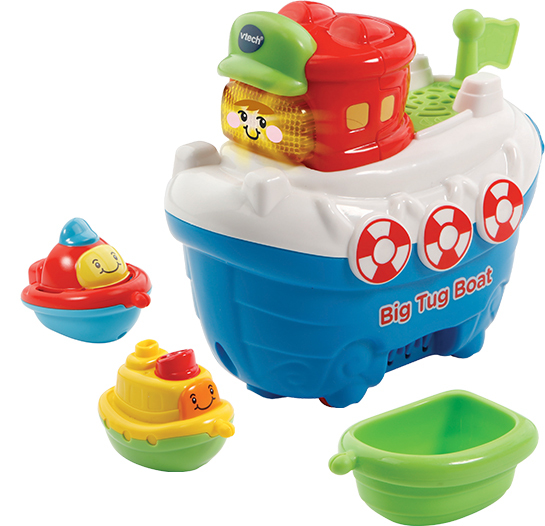 Includes 4 sing-along songs, 10 lively melodies and lots of fun phrases. 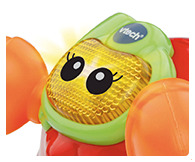 Light-up face button triggers fun music, realistic sound effects and songs. 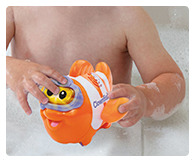 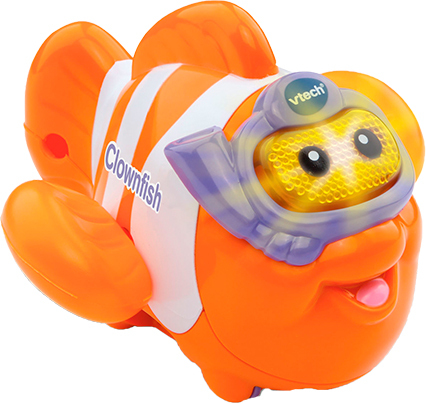 Float the clownfish around in the bath or push it around on its wheels when playing on dry land! 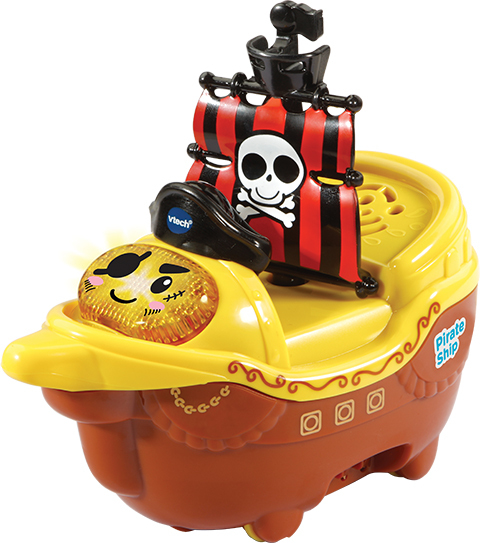 I'm a pesky pirate ship! 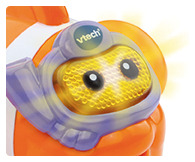 Light-up face button triggers music, sound effects and songs. 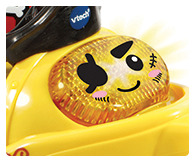 Includes 4 sing-along songs and 10 melodies. 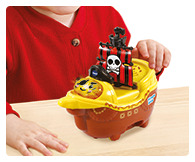 Float the pirate ship around the bath or push around on its wheels when playing on dry land! 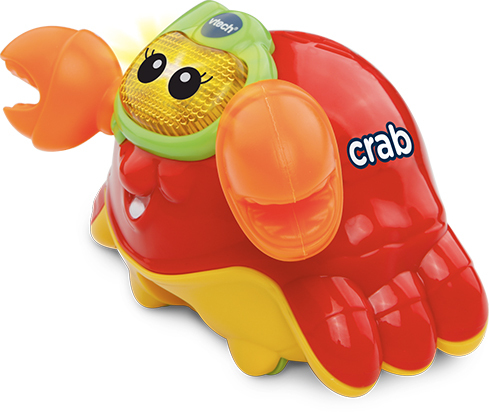 Includes 4 sing-along songs and 10 lively melodies. 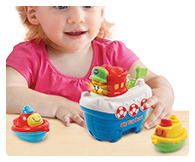 Teaches singing, pretend play and sounds. 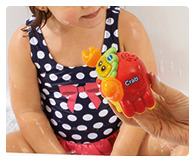 Float the crab around in the bath or push it around on its wheels when playing on dry land! 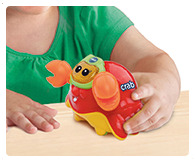 Encourages motor skills, role-play fun, language development and imaginative play.